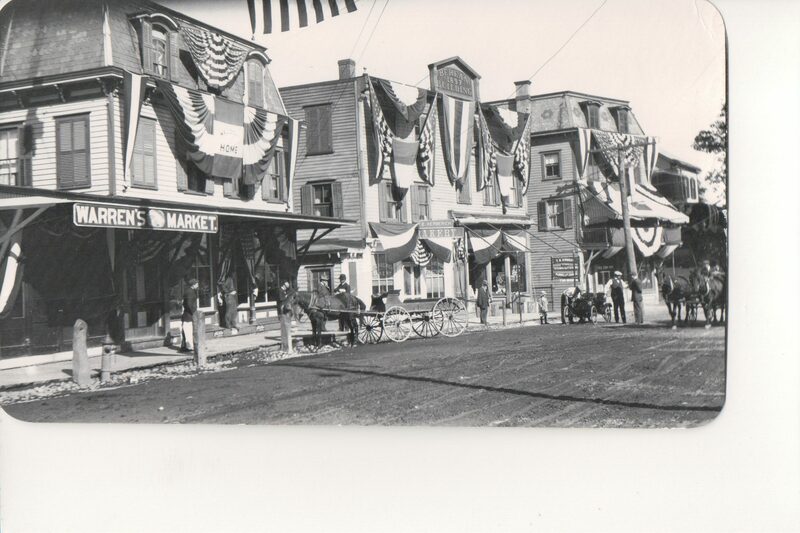 This early 1900s photo captured Warren’s Meat Market and the Herberich Bakery, which was in the 1897 Berean Building, located on Western Avenue in Marlboro during an Old Home Week Celebration. Marlborough, NY Historical Society to Meet Sunday Sept. 24th! According to this week’s Southern Ulster Times, “The Marlborough Historical Society resumes its meetings on Sunday, September 24th at 2 p.m. in the Milton Train Station, Dock Rd., Milton.” Guest speaker will be former Town Historian, Mary Lou Mahan. 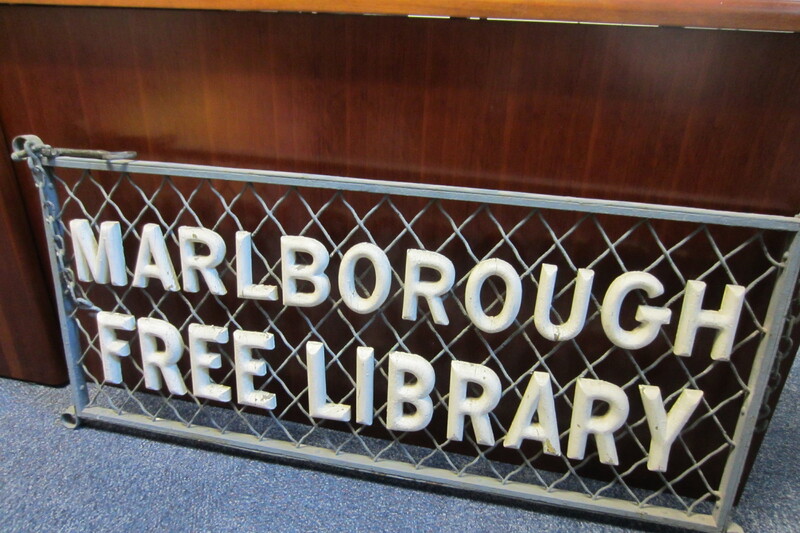 A big thank you to James Bellisimo for donating this old sign to our library. It was the old library sign that hung above the library’s front door when the library was at it’s King Street location. 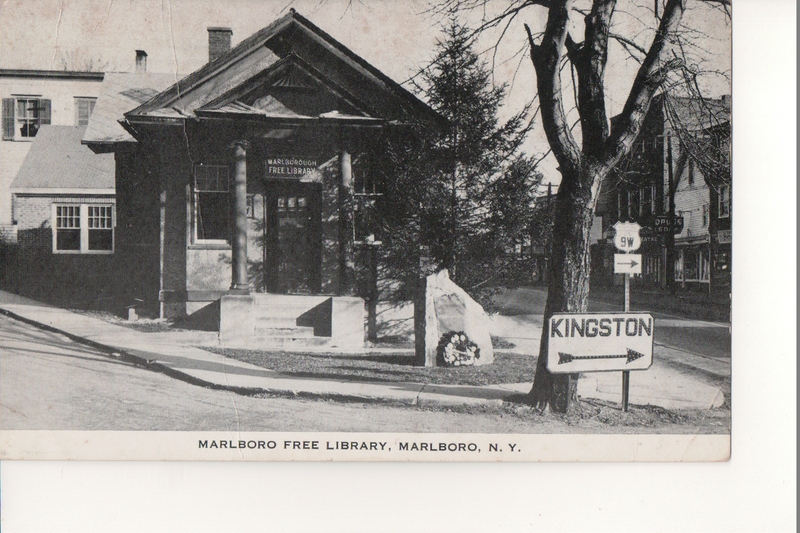 The Marlboro Free Library was located on King Street from 1921-1977. 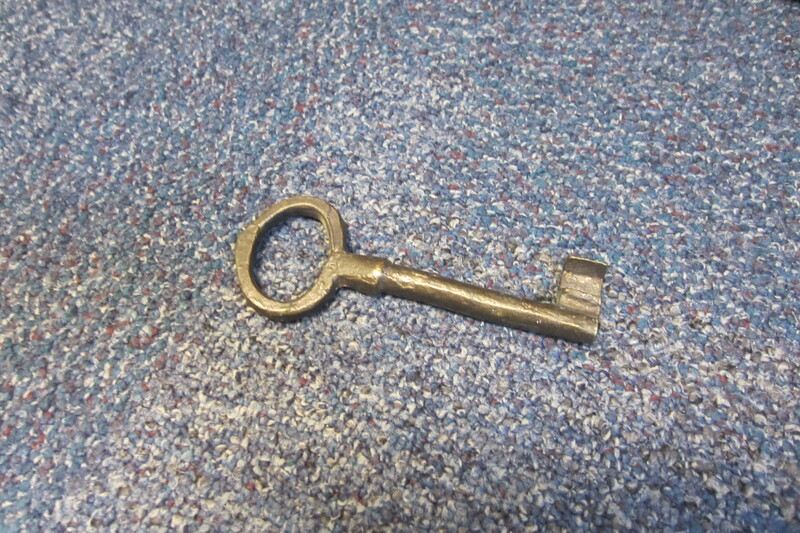 He also donated the old library key! The Marlborough, NY Historical Society Meetings will be the 4th Sunday of the Month at 2pm at the Milton-On-Hudson-Train Station. 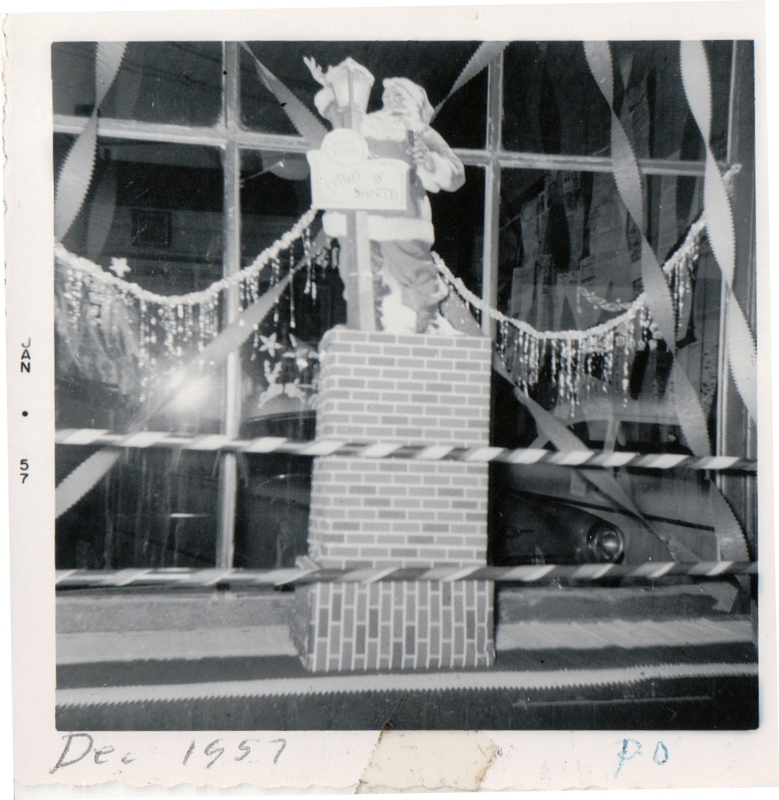 Christmas display at the Marlboro Post Office December 1957. Vintage Holiday cards make cute gifts! You are currently browsing the archives for the Marlborough category.